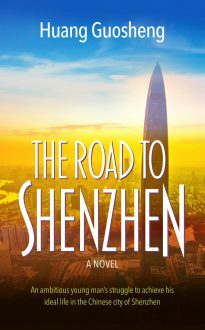 It is the early 1990s and Zhou Haonan, an innocent young man from a rural family in China’s West Canton Province, travels to the ‘golden city’ of Shenzhen to seek his fortune. Kind and caring but highly ambitious, he works as an international businessman, becomes a Sanda boxing champion and even sells his blood as he spends the next 20 years striving desperately to achieve his dream of a Shenzhen permanent residence permit and a home of his own. Despite a string of humiliating failures and disasters and cruel treatment by the women who enter his life, he somehow manages to get back on his feet and carry on through all the setbacks which life throws at him.